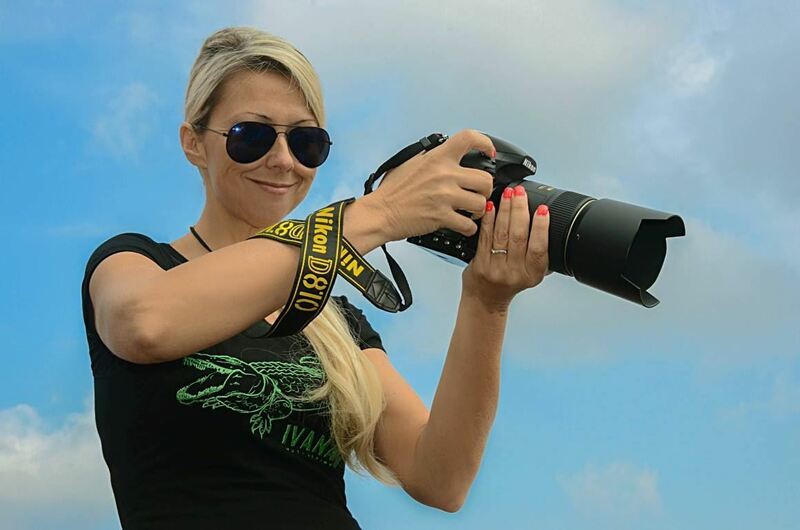 held by professional photographers Ivana Orlovic, Janez Kranj and Vladimir Mladenovic. 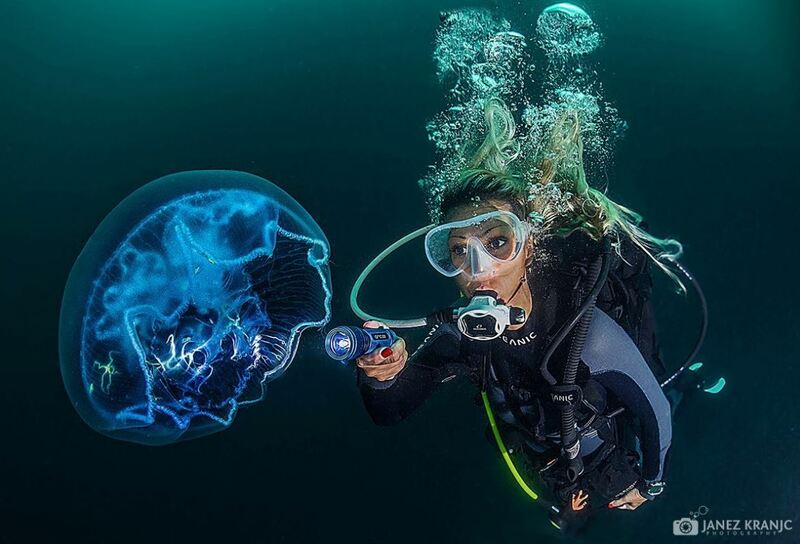 multiple awarded underwater photographer Ivana OK is using Nikon D810 in Subal housing. 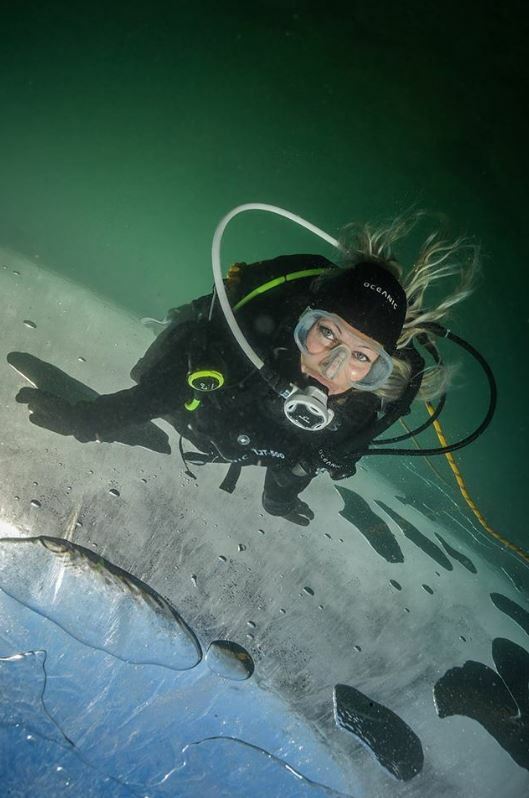 her specialtys are underwater selfies with inhabitants of underwater world and her great split images. also, she is excellent in macro photography. 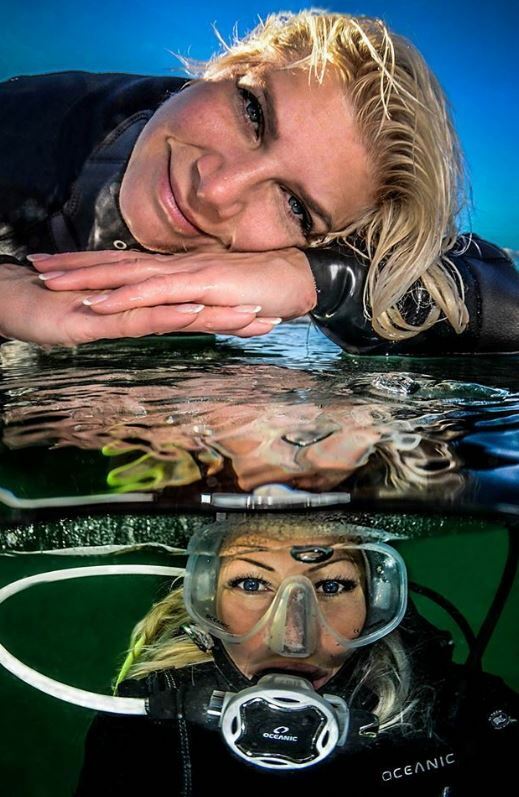 her commitment and exceptional quality were recognized by American Underwater Products company which promote Ivana as their Oceanic Worldwide Ambassador since january 2015. she is PADI Staff Instructor and an underwater photography instructor as well. 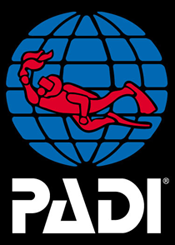 is diving for over twenty years now. 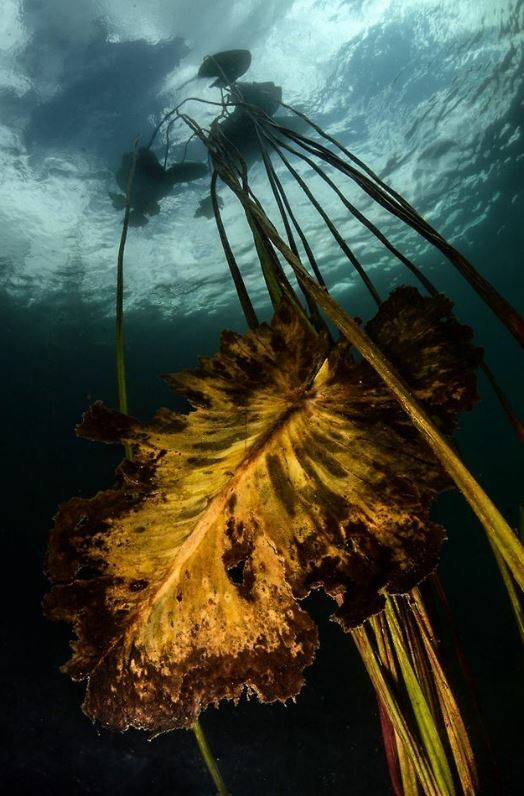 underwater photography is a reason how he got involved in diving at all. 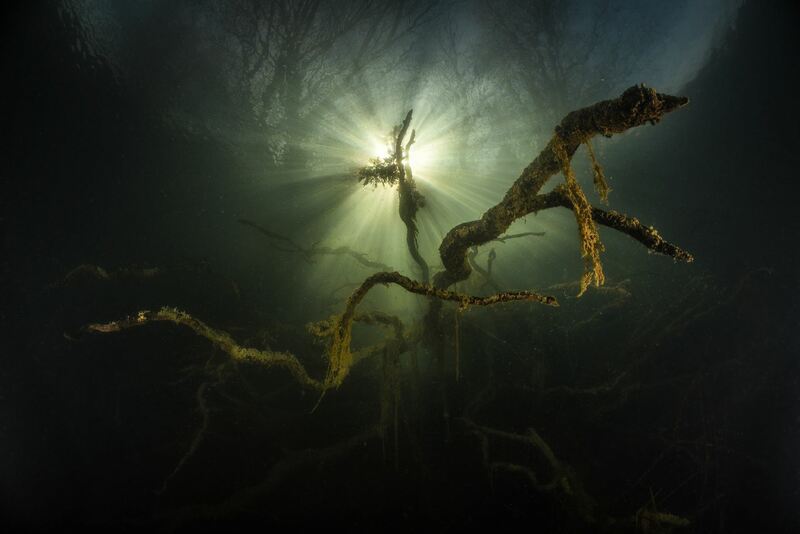 he had won many awards at numerous competitions in underwater photography. 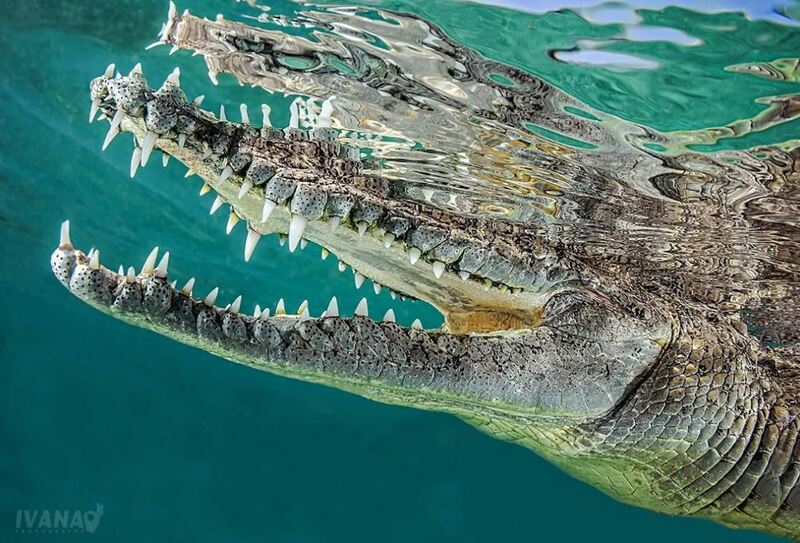 also his movies about underwater world have been awarded on festivals all around the world. 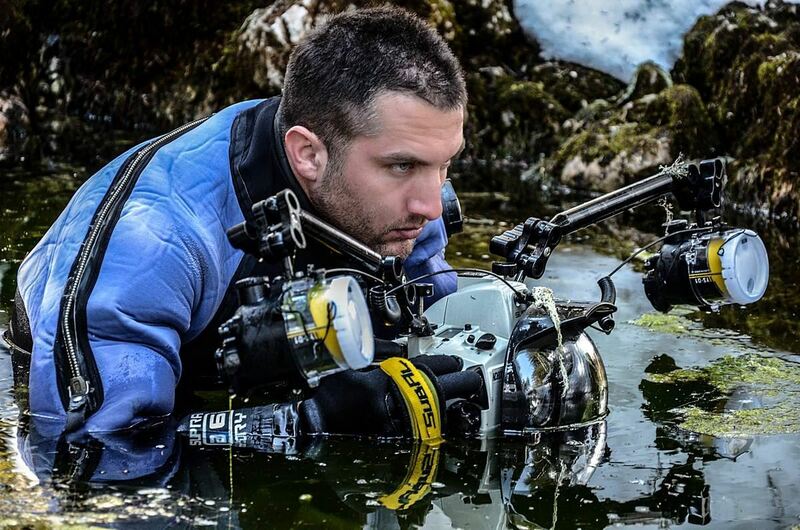 he uses Nikon D7000 and Nikon D810 in SUBAL underwater camera housings. 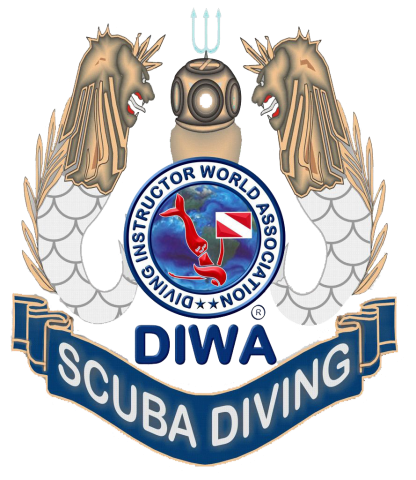 he is (CMAS M2) diving instructor and underwater photography instructor as well. 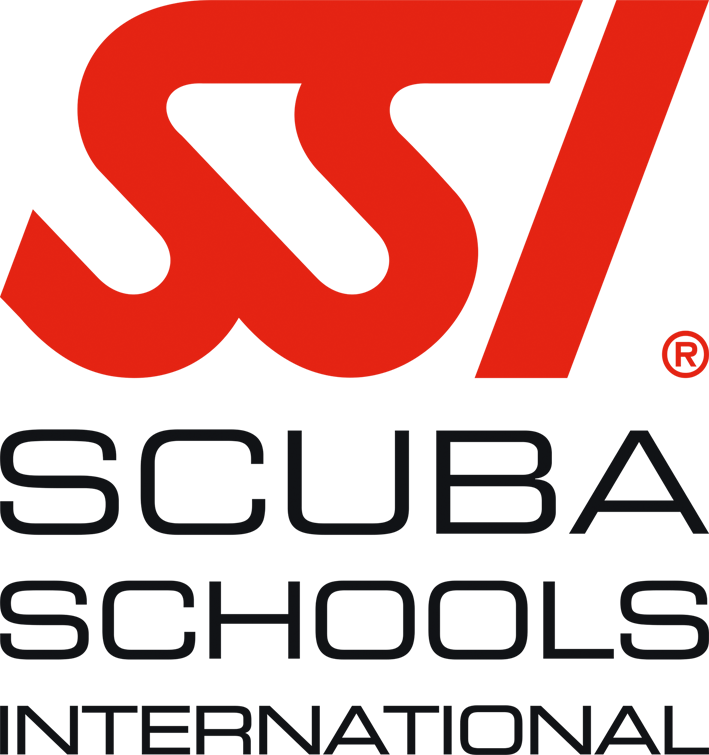 is production menager from Subal underwater housing company. 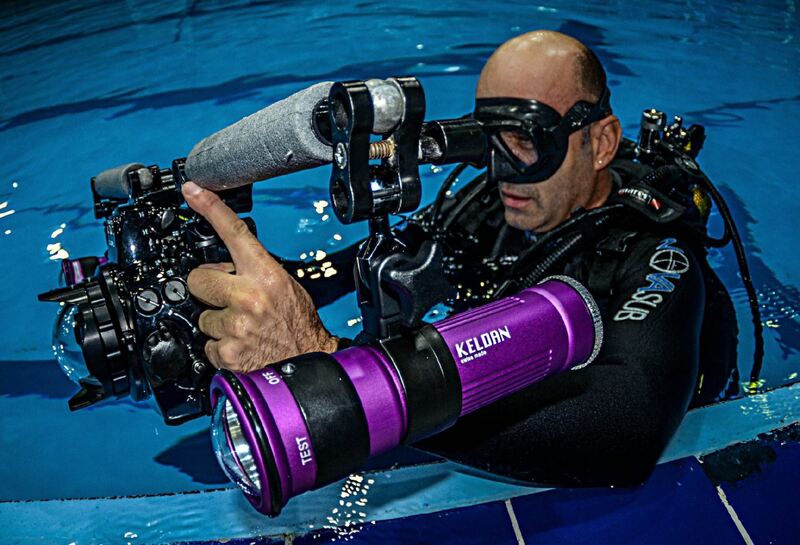 he is an expert in producing underwater housings. 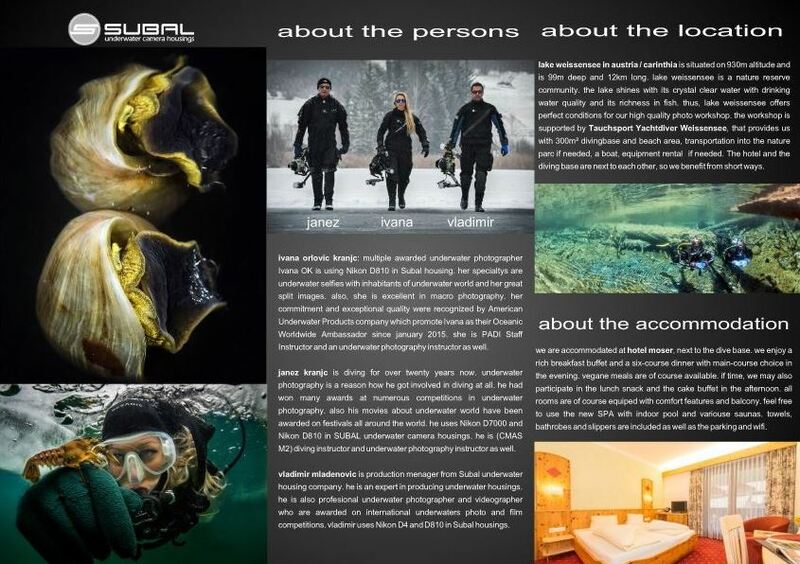 he is also profesional underwater photographer and videographer who are awarded on international underwaters photo and film competitions. 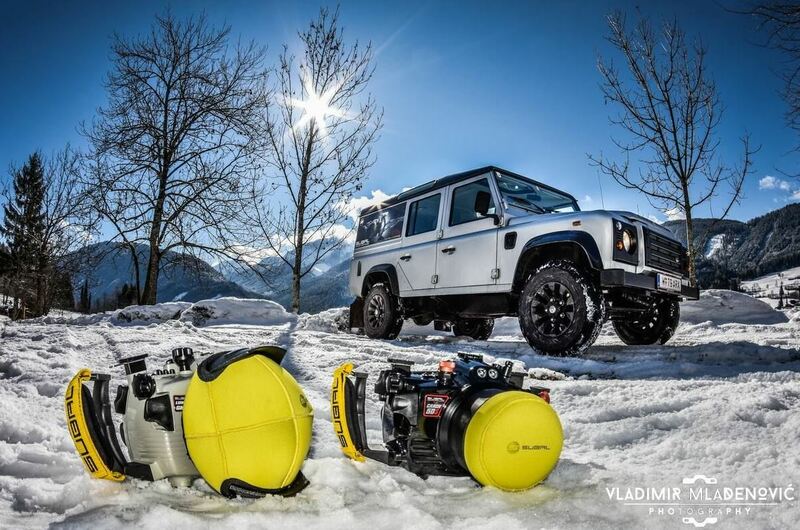 vladimir uses Nikon D4 and D810 in Subal housings. 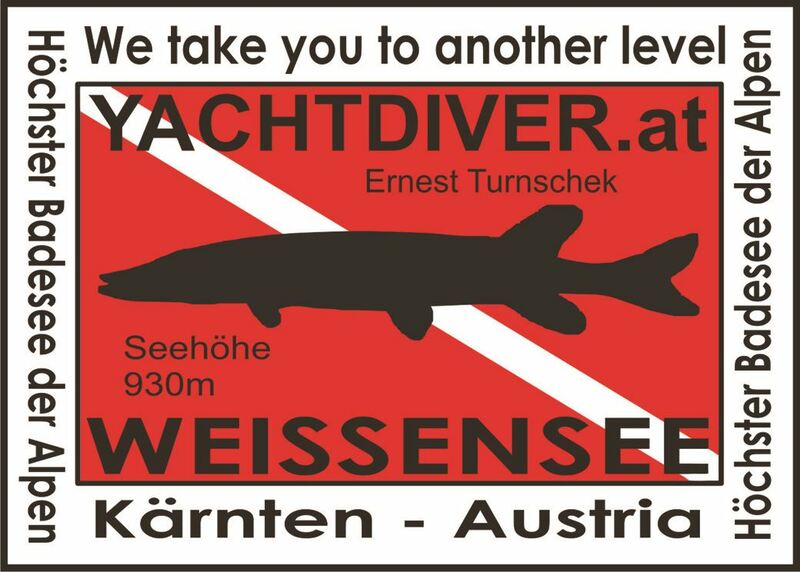 gathering of participants and participants verification until 21.00 at hotel moser. 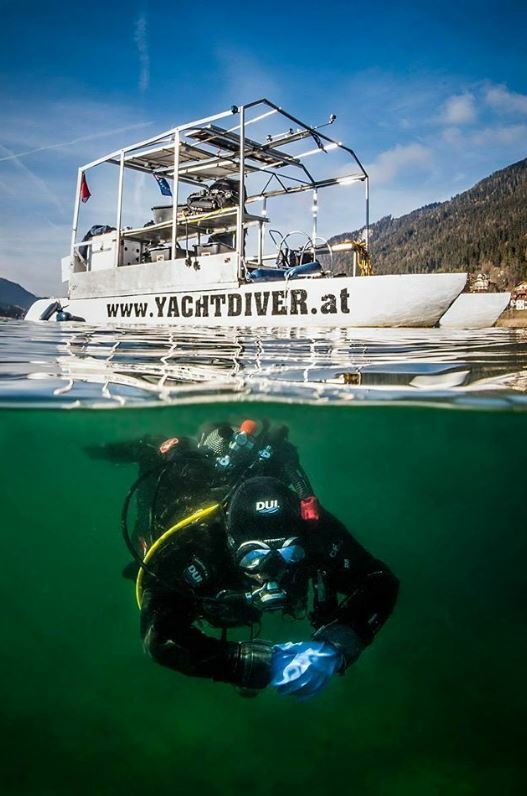 9.00-10.30: presentation of lecturers and lecture SUBAL camera housing for underwater photography - everything that you need by Vladimir Mladenovic. 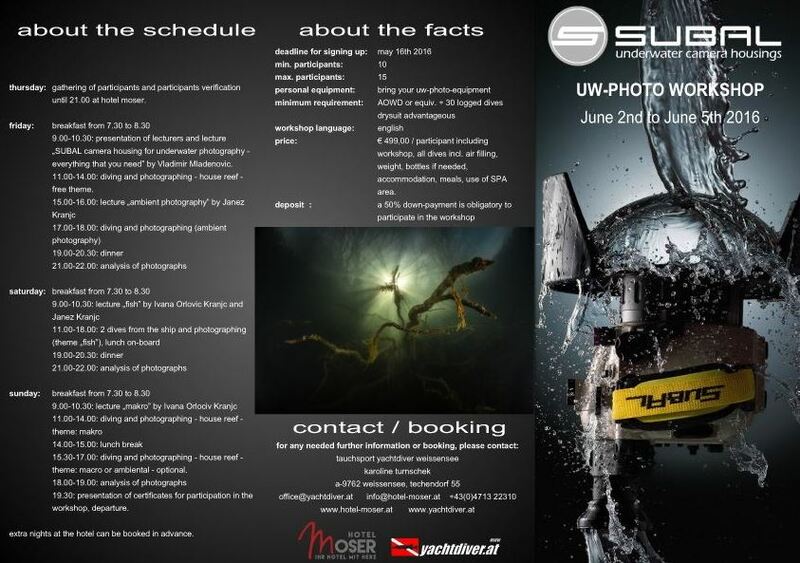 11.00-14.00: diving and photographing - house reef - free theme. 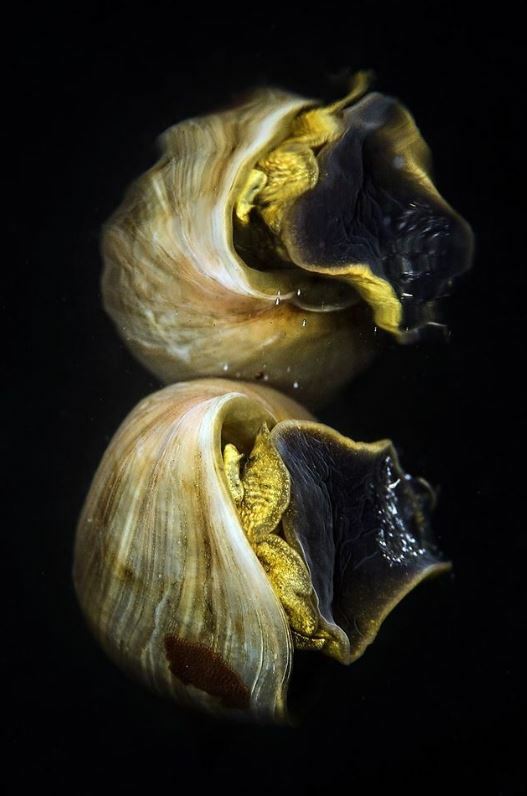 15.30-17.00: diving and photographing - house reef - theme: macro or ambiental - optional. 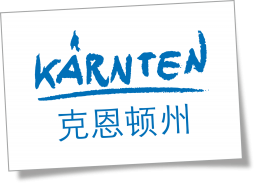 19.30: presentation of certificates for participation in the workshop, departure. extra nights at the hotel can be booked in advance. MEHR ZU SUBAL UW-FOTOGEHÄUSE FINDEST DU HIER!